Those numbers were obviously eye-popping in a bad way, except for Vokoun. That is why many fans were calling for Vokoun to usurp Fleury to be the Penguins' starter at the beginning of season even though Fleury received a vote of confidence from Shero and Bylsma before the season began. Then, in September, we found out that Vokoun would be out at least 3-6 months with a blood clot. It was the second of his career, and his career seemed to be in jeopardy. Management said there was no need to go out and secure a veteran backup. They had their backup in Jeff Zatkoff. To say Pens fans were less than optimistic about the goaltending situation, it would have been an understatement. Marc-Andre Fleury has been Jekyll and Hyde for much of his career. He has been a consistent regular season performer with five seasons of at least 30 wins --- soon to be six --- and very respectable stats of a 2.62 GAA and a .910 save percentage. At first glance, his postseason career statistics are pretty respectable as well. He has gone 45-34 with a 2.73 GAA and a .903 save percentage. If you take a closer look, however, there is much cause for alarm. If you take out the two seasons the Penguins made it to the Stanley Cup ('07-'08, '08-'09), Fleury is 15-20 with a 3.44 GAA and a .877 save percentage. Couple that with the fact that Fleury admitted he was dealing with many pressures and felt the need to visit a sports psychologist over the summer, and it opened the door for criticism from Fleury bashers. In fairness to him, he has responded in a big way this season. He is leading the league in wins with 29, and is among the league leaders in GAA and save percentage. 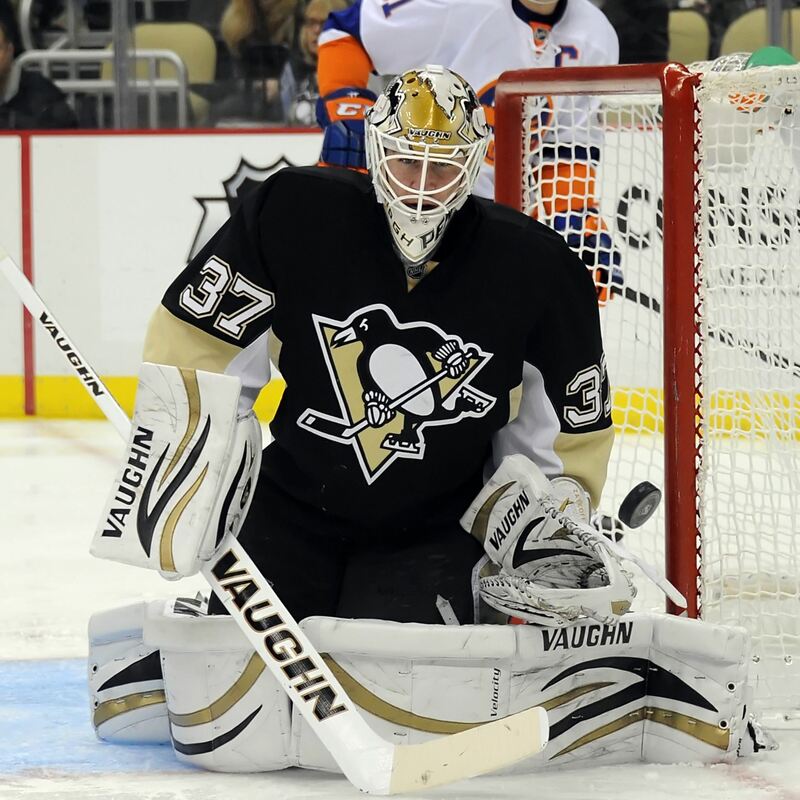 The Penguins have had to rely on him heavily with injuries to the team and the goaltending corp. He is on pace for 66 games played, which would be one shy of his career high during a regular season. For good or bad, Jeff Zatkoff reminds me a lot of Fleury in many ways. The main similarity? When looking at his career, he is very consistent in the regular season and struggles in the postseason. His regular season stats in the AHL were 78-65 with a 2.42 GAA and a .917 save percentage. He and teammate Brad Theissen were awarded the Harry "Hap" Holmes Memorial Award at the end of last season. The award is given to the goalie of the team with the fewest amount of goals given up throughout the season (minimum of 25 games played). Once again, as good as the regular season sounds, we now look at his postseason career stats in the AHL. He was 3-8 with a 4.58 GAA and a .865 save percentage. The good news is that he is only 26 years old and he will continue to mature. After a slow start, he has gone 9-2 in his first NHL season and looked very impressive at times. But, for a team that has struggled in recent postseasons and with a window that is slowly closing, do the Penguins have time to roll the dice with Zatkoff this postseason? Now for the wild card in this whole equation ...Tomas Vokoun. He clearly has the most experience out of the three goaltenders, and he seems to be the most consistent. His career totals include going 300-288 with a 2.55 GAA and a .917 save percentage. While the wins and losses are not impressive, it is important to remember that Vokoun played for some very mediocre teams with the Predators and Panthers for much of his career. Given that, his career GAA and save percentage are very solid. In the postseason, he actually has much less experience than Fleury. He has only appeared in 22 games going 9-13 with a 2.24 GAA and a .928 save percentage. Once again, the record is nothing to brag about, but his stats are the best of the three. While his career was once in jeopardy, he seems to be on the road to recovery and began skating a couple of weeks ago. Most of Penguins' nation rejoiced, but what does the team do with him? Fleury and Zatkoff have played lights out for much of this season. I don't see that changing after the Olympic break, but this organization does not care about regular season success at this point. They have been cup or bust since Crosby and Malkin joined forces, which is why many Pens fans were happy to see Vokoun skating again. 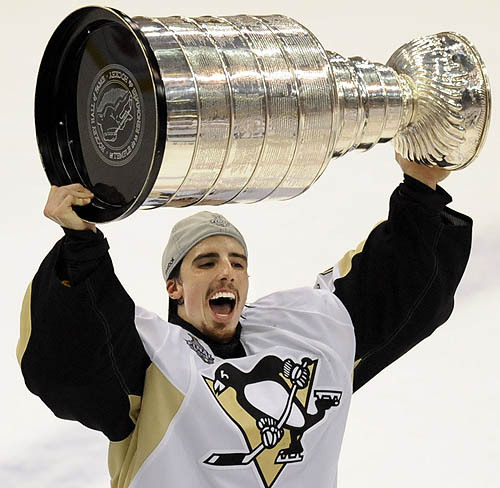 He can be healthy in time for the postseason and once again be the security blanket for Fleury. This is where I part ways with much of Penguins' nation. Tomas Vokoun had a magical season with the Pens last year. He did exactly what Shero wanted and provided rest for Fleury during the regular season, and then he righted the ship in the postseason when Fleury began to falter. However, there is no guarantee THAT Tomas Vokoun will ever return. He faced major surgery this off season, and it was the second of his career. He is 37 years old and brings an extra $1.5 million in salary cap hit to the team. The Penguins are going to make it as far as Fleury carries this team. 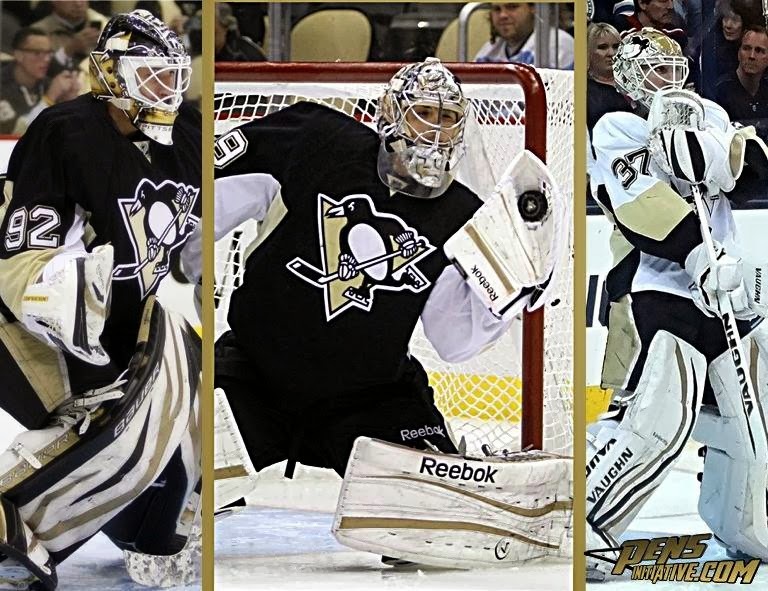 My view is ride-or-die with the Fleury/Zatkoff combination this season and see what happens. If things go south quickly in the postseason again, the organization needs to take a look at their goaltending situation for the future. But, right now, they need to worry about the present. As the old cliché goes, two is company and three is a crowd, and in this particular case, I see Tomas Vokoun as the odd man out. I love Vokoun and genuinely hope that whatever course they take is in his best interest. I think that the Pens will be okay this season, to be honest. Playoff goaltending will be the least of their problems if they can't figure out the secondary scoring. I agree with you there, which is another reason I think that $1.5 million is so valuable. It should be used for wingers, IMO.